Show your respect and care to your boss on his/her birthday. Make feel them extra special. Just create keep calm it's my boss birthday image with his/her personal photo. It's a great chance to impress your boss. This is the perfect way to celebrate a boss birthday. 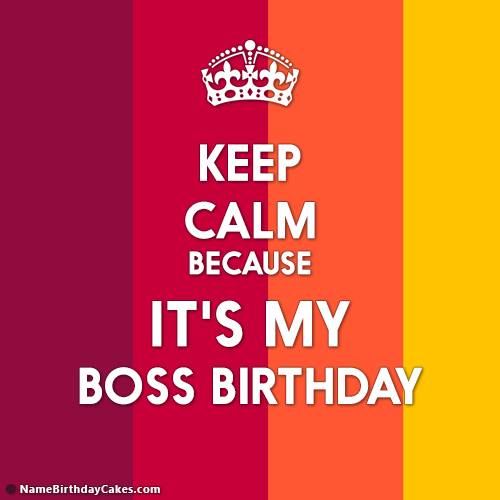 Just upload your boss photo on keep calm it's my boss birthday image and shares it with your boss and colleague. Bring a big smile on their face.